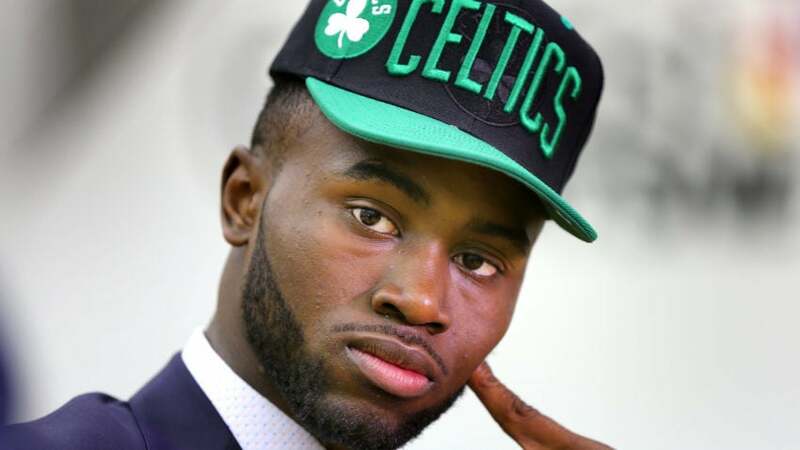 I think it is time to pump the breaks on Jaylen Brown. Seriously, let’s stop antagonizing this individual and see what happens when he competes for the Boston Celtics this season. Since being selected third overall in the 2016 NBA Draft by the Green and White, Brown has been insulted by die-hard Green Teamers that are desperate for Banner 18. I am a Celtics fan. I was born and raised in Boston – well, technically born in Boston, but grew up outside the city – and understand the immediate need for championships. And since the New England Patriots began winning Super Bowls, the need for additional hardware and celebrations on Boylston Street have increased. As of today – Sunday, June 26 – we don’t know what Brown can do for the Celtics or what the Celtics can do for Brown – no play on UPS there, I promise! – but until he steps on the court and sprints up and down the parquet, there is no need to barrage this young man. Will he rip someone’s head off? Doubt it, but make sure you wear Celtics gear when walking around or near the Boston Garden. According to NBADraft.net, Brown’s play should be identical to Jimmy Butler, which should excite Celtics fans – how many times have we heard Butler’s name when it comes to trade talks? We won’t know if this comparison is true until we see him compete for the Green and White. Maybe Brad Stevens will tell him to guard LeBron James or Steph Curry next season? We can go round and round about the selection of Brown or what he will or won’t do for this organization. Yet, until he competes – or plays one or two series – there is no need to antagonize the former Cal Bear forward. Brown could become a cornerstone of this organization – maybe he’ll join the Celtics Mount Rushmore of Paul Pierce, Bill Russell and Larry Bird – but again, until we see him compete, let’s slow down the criticism and focus our attention on perhaps luring Kevin Durant to Boston. Could you imagine the tandem of Durant and Brown? Could become the greatest tandem in the league’s history.